Web 2.0 means different things to different people, every industry expert has a new definition of this well used and abused term. At Pulse we define Web 2.0 as simply “function before design”. Websites in the past have endeavored to primarily look good, the concentration always seemed to be aesthetic appeal. This approach failed to enthuse the audience who found using websites both confusing and time consuming. Web 2.0 websites keep function and usability above everything else, this means getting to the point quicker. This new model tries to make users part of the website by giving an active role in the form of comments, reviews, blogs i.e. “Architecture of participation”. Pulse has been building Web 2.0 websites since 2005. Several of our websites have been pioneered in this technology. We have received numerous accolades for the simplicity, powerful functional and aesthetic appeal of our systems that truly match up to Web 2.0 expectations. Web 2.0 websites often use technologies like advanced CSS and AJAX to save users time and produce desktop software type interactivity. Syndication is another innovation that’s associated with Web 2.0. Sharing information and user information has become a lot simpler with the advent of standards like RSS and ATOM. 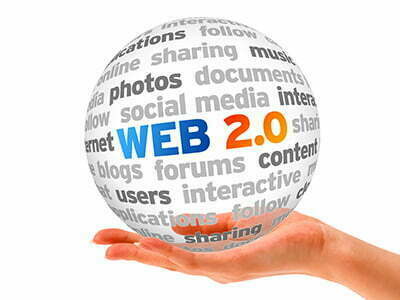 A number of Web 2.0 websites use syndication to greatly enhance user experience. To have us evaluate your Web 2.0 project click here to request a quote.